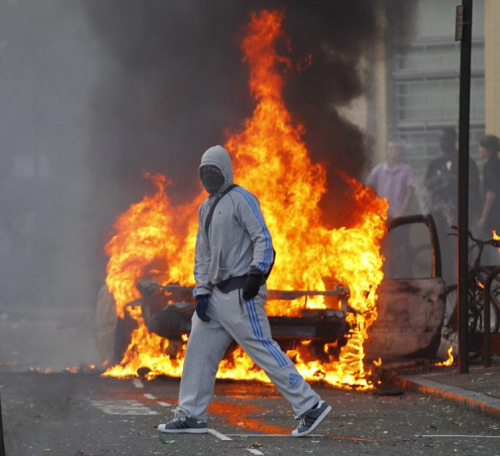 Ever since the so-called riots have started in London and spread even further in England, the Internet has been flooding with all sorts of messages and opinions on the matter. The primary alleged reason of the rioting, a killing of a black man by the British police, has quickly vanished as a motive of protest and the action transformed into pure vandalism. Thus, the public opinion, particularly expressed via web-based technology, has started showing its disgust over the opportunistic twist of the riot. What was meant to be a revolutionary action has proven to be merely a fiasco and a shameful event for London. 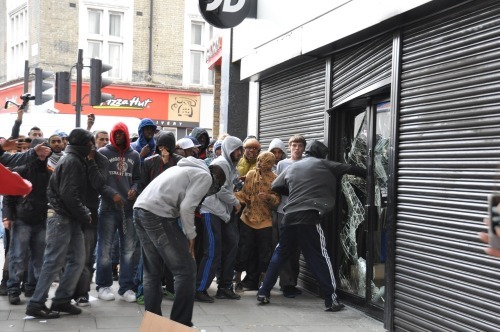 People online are, in fact, so motivated by the disgust of these events in the UK, they’ve gone as far as getting seriously organized in making justice for the shop owners that have been robbed off their goods these days. 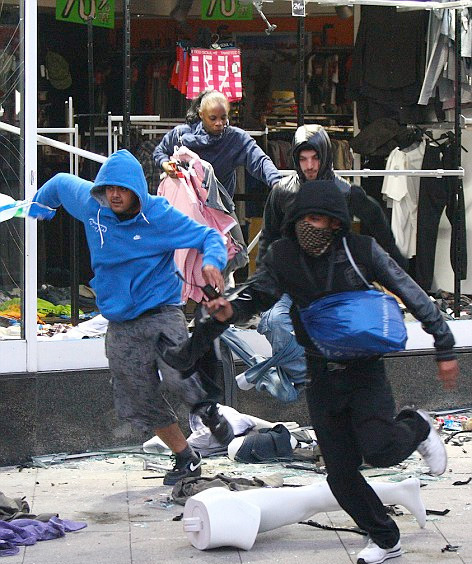 Here is just one of the many looters-caught-in-the-act pictures posted on the Internet. Self-denouncing on twitter – surprisingly done by an immense and increasing number of looters – proof that these people aren’t at all to be sympathized due to their intelligence either. As harsh as it may seem, this is one of the most popular and wide-spread Facebook posts, borrowed by users all over England. The recent spread of looting to the provinces is nothing but proof that opportunistic thugs, miscreants, or plain cretins, exist everywhere and they’re ready to create chaos among innocent people for the sake of a new iPhone. And not surprising at all, reports say that the only safe and left untouched places in the affected neighborhoods are bookstores. Congratulations, youth of England!